Email: hellen@zssteeltube.com Mob/What's App/Wechat App:0086-18132295061 Keep your benefit 100%. square tube is frequently employed in the automotive industry, as well as in many other types of machinery ranging from agricultural implements to appliances. Square tubes are formed from coils and ran through a series of dies. Square tubes are generally used for maintenance and structural purposes. Some applications would be building construction, railings, and sign posts. 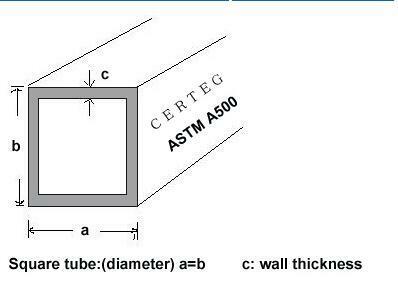 They are measured by their outside dimensions and their wall thickness. Metals Depot stocks hundreds of sizes of square tube at wholesale prices in ready to ship precut and mill lengths or you can order just what you need custom Cut to Size in any quantity.